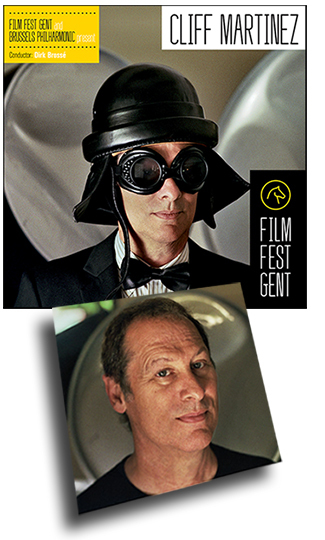 Milan Records will release Cliff Martinez-Film Festival Gent digitally and on CD February 17, 2015. The album contains orchestral versions of Martinez’s film themes as performed by The Brussels Philharmonic this past October as part of the Film Festival Gent and World Soundtrack Awards concert. Conductor Dirk Brossé orchestrated the recording.